Haruka Ayase-san exprienced hockey with Coca-Cola Red Sparks! 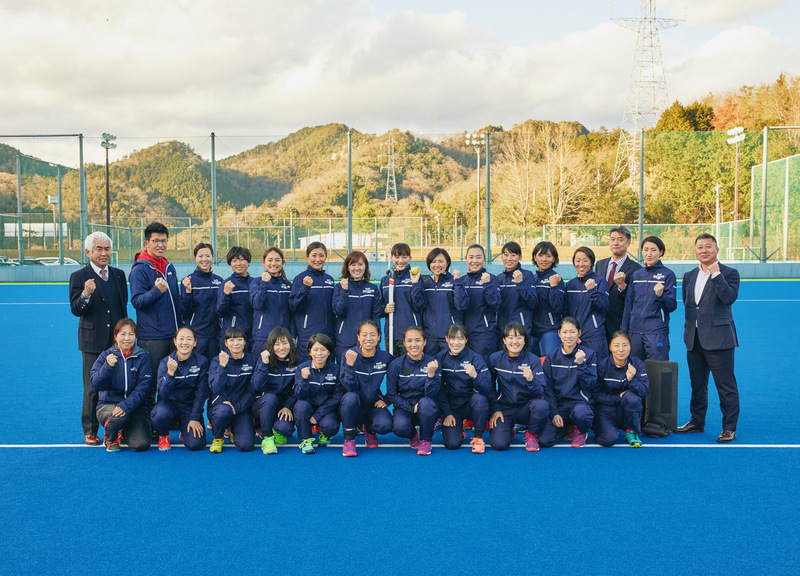 Last month, there was a commercial photo shoot for the Beautiful Japan toward 2020 at the Coca-Cola Red Sparks Hockey Stadium. The Beautiful Japan towards 2020 is a project to unite Japan, organized by Panasonic Corporation, that is together with Coca-Cola, one of the world-wide partners of the Olympic and Paralympic Games Tokyo 2020. It was a friendly photo shoot... and guess what! Hiroshima-born actress Haruka Ayase-san enjoyed hockey with us! At the very moment the players saw Ayase-san, their excitement reached its climax as she is so pretty! The photo shoot went on in a very cheerful atmosphere. She got better at hockey very fast, and scored a lot of points in a small-sided game, erupting cheers from other players! Her scoring scenes and interactions with players are available at the web site below, so check it out!